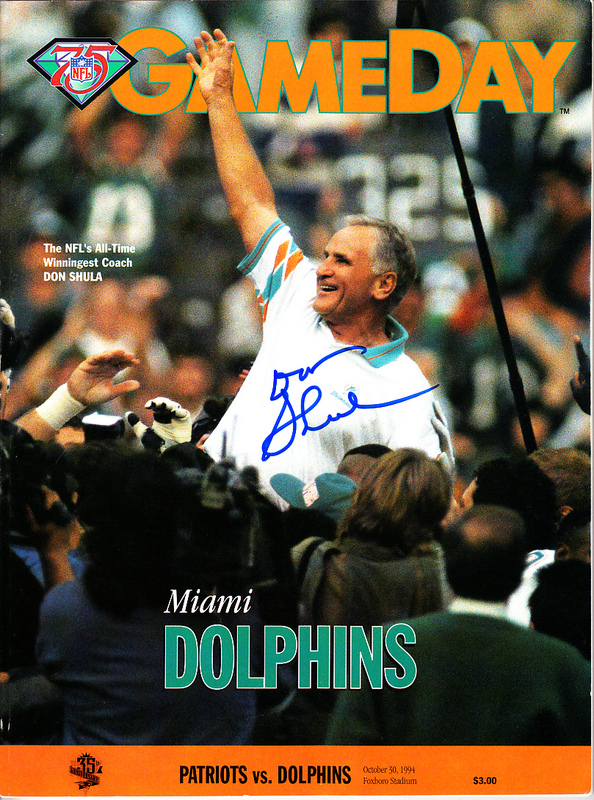 Complete original Oct. 30, 1994 Miami Dolphins at New England Patriots NFL GameDay program with cover featuring legendary head coach Don Shula after setting the NFL record for career coaching victories, autographed by Shula in blue marker. Obtained in person. With certificate of authenticity from AutographsForSale.com. PRISTINE CONDITION. Suitable for framing. ONLY ONE AVAILABLE FOR SALE.